We are delighted to announce that our annual charity golf event will be returning this year. 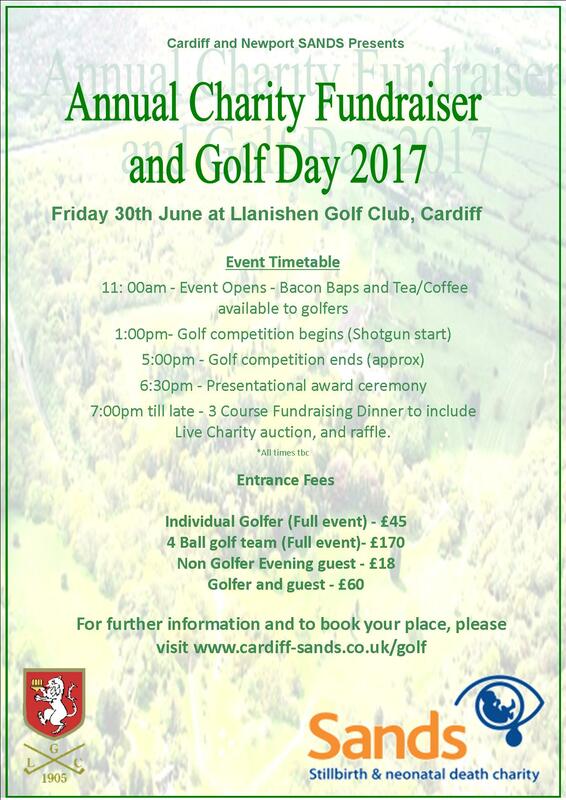 The Seren Roberts Memorial Golf Tournament will take place at Llanishen Golf Club, in Cardiff on Friday 30th June. This will be our 6th outing of what is always a very succesful, friendly and fun charity golf event. All golfers welcome. There will be many prizes on offer, with the event including team and individual stableford competetions, nearest the pin, longest drive, "value for money" and more. The event includes pre round bacon baps/tea/coffee, along with a 3 course presentation award dinner following, to which partners/non golfers are welcome to join. Full details avialable on our website at www.cardiff-sands.co.uk/golf. Any questions/queries, please do not hesitate to get in touch with me at gwyn.roberts@cardiff-sands.co.uk. Thank you for your kind information . I have read and find some awesome things. Thanks ..